“Tea has been consumed across the globe for centuries, comprising a significant proportion of the habitual diet of many far eastern countries. While its origins have been traced to China, it is now thought to be the second most consumed beverage in the world(1,2). 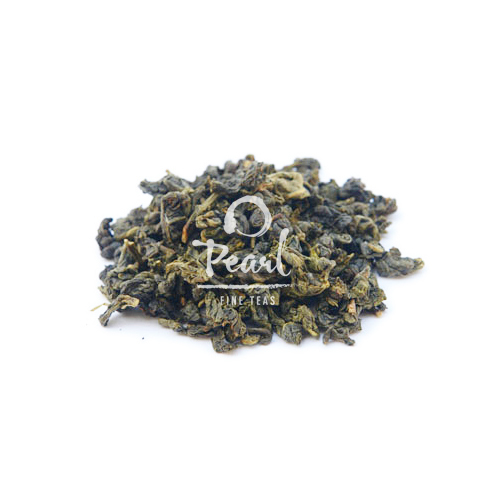 It is manufactured from the leaf and bud of the plant Camellia sinensis, with the manufacturing process determining the type of tea produced, ranging from ‘fermented’ black and red teas, through ‘semi-fermented’ Oolong, to ‘non-fermented’ Green tea. 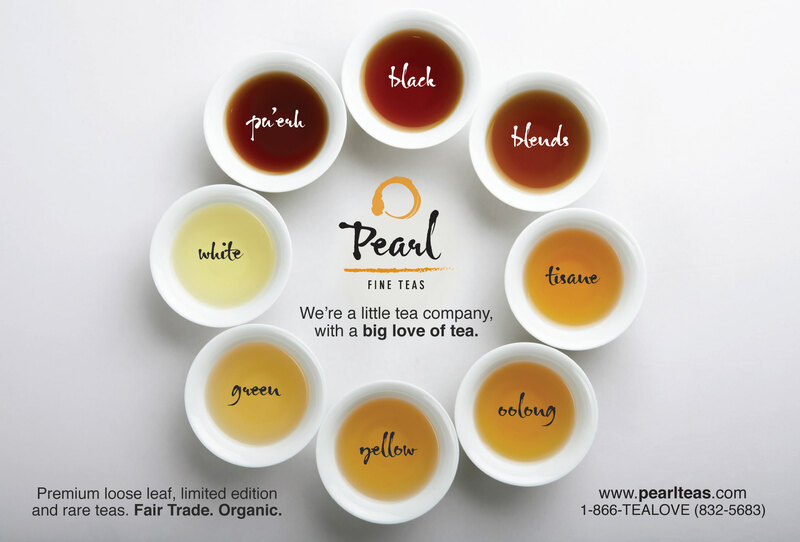 The black colour and bitter taste in black tea results from the oxidation of a group of chemicals termed ‘polyphenols’ (also known as catechins) by the enzyme polyphenol oxidase. This oxidative reaction is avoided in green tea where the drying and steaming processes employed inactivate this enzyme(1). 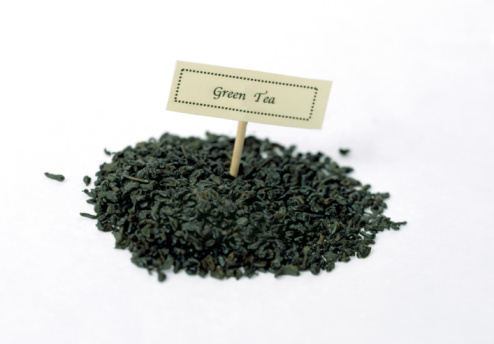 Sparing these polyphenols is thought crucial to the many health benefits attributed to green tea over the centuries. A growing body of literature has emerged in the last three decades on an apparent plethora of benefits supposedly hidden in this relatively widespread and inexpensive beverage, included among which are anti-obesogenic(3), anti-diabetic(4), anti-carcinogenic(5), anti-bacterial(6) and anti-viral properties(7). In the present review I will concentrate on the first of these: the effects of green tea ingestion on energy expenditure (EE) and fat metabolism. In 1999, a paper was released demonstrating an apparent increase in EE in human subjects over 24 h, resulting from green tea administration(8). Publications such as this have since led pharmaceutical and nutraceutical manufacturers to rush to incorporate green tea extract (GTE) into ‘fat-stripping’ weight management pills and protein shakes aimed at gym goers, athletes and the general public. The value of such a discovery was immediately apparent, both medically and within the domain of sports nutrition and gym use, with sports and fitness magazines such as Men’s Health relaying this information to their readers(9). Were this property of a very cheap commodity verified, it would imply a lucrative market in weight management supplements. Sip green tea. Feel happy… and skinny? My first official 24 consecutive hours in Taiwan. I feel like Ive been here a week. I left DC on a Thursday afternoon and my first day here is Saturday? Long trip. But Im rested and ready to roll. Today is the birthday of one of our hosts: Josephine Pan. Our plan to spend the day at a hot spring fell through so we will shop and walk around. 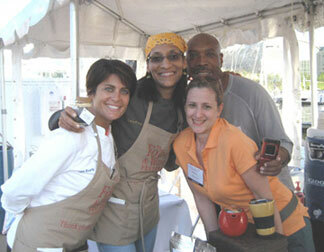 We had other tea friends join us for the day: Lisa Bolt-Richardson, Lynayn Mielke, Karen Hartwick, and Bob Bowie. Our first stop was walking through the old market. We wandered through taking in all the aromas that crashed together. 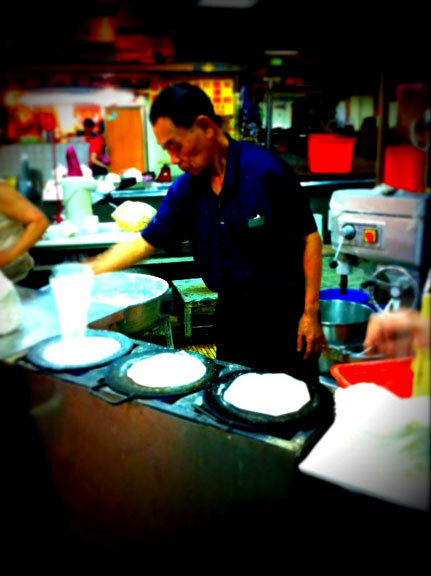 We stopped to watch a man make what I called “taiwanese crepes”. These are made of rice flour which perked me up since Im a gluten-free girl now. It was fun to watch him spin the dough and flatten it out on the hot round pans. We didnt eat any – just watched. The best part of the market was when I spotted the fruit Ive waited a year to eat again: PASSION FRUIT. Last year the hotel had it every day for breakfast. This time it didnt, so I was on a quest to find some. I bought out the ENTIRE amount of fruit the farmer had. For $3.00. Though I was reluctant to share with my peeps, I finally gave in. But it wasnt easy. 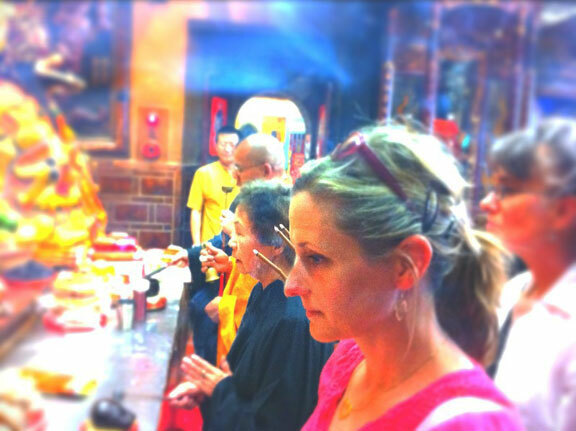 After the market we went over to a Taoist Temple. 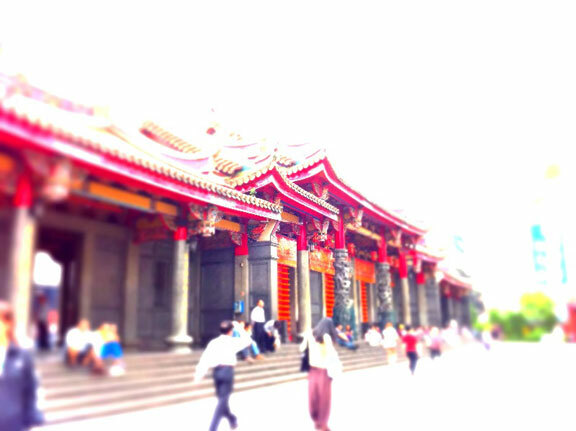 People were milling around, praying, offering fruit to the different Gods and asking questions with what looked like a half moon piece of wood, painted a bright red. The idea is to ask a question to the God of Business and drop the wooden pair. It needs to fall with one upright and one down, three times in a row and that means the answer is yes. I had to try it. I asked my question and I didnt expect the answer I got. It was an astounding YES. Im keeping the question a secret for now. I enjoy visiting these kinds of temples in Asia. There is just nice and peaceful atmosphere to it. No one is speaking. Incense are burning and there is a lot of fruit being offered. After all that shopping and praying, or watching people pray we headed out for lunch. Josephine picked a cute local place were I was pleasantly surprised to learn that the vegetable dumplings were made with rice flour. Happiness. Pure happiness. I ordered them and an interesting soup. No tea was served though. Odd. 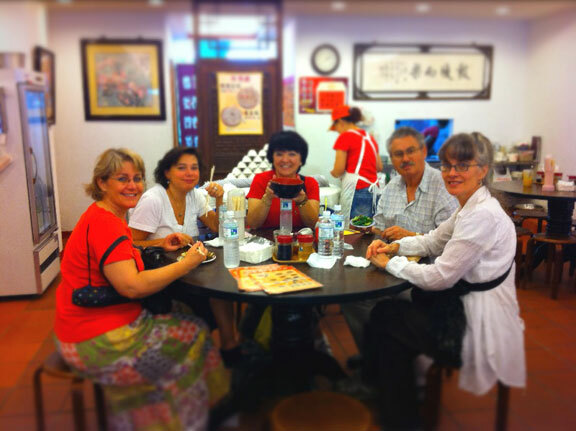 After our feast, we continued to walk and shop and taste local street food and just enjoy each others company. In some cases we were making new friends, in others, we were catching up with old friends. Ive known Josephine now for a few years and I was on the TOST 2009 trip last year. Ive known Lynayn and Lisa for a few years now through out training at STI, and Lynayn happens to live in Annapolis which is a short distance from DC. I made 2 new friends that day: Bob from Kansas, who own The Spice Merchant and Karen from Canada who owns Stratford Tea Leaves. By this time in the day I was in need of a nap but I resisted! We all went back to the hotel and Karen come over to my room and we shared a pot of High Mountain Oolong. There is just something about tea with a friend – especially in a foreign country. Especially the country where the tea came from. Later that night, after giving in to a nap from heaven, Karen and I ventured out for a light dinner and found a cute Japanese place around the corner from the hotel. What was cool about it was that the “restaurant” was open to the sidewalk and you could sit at the sushi bar on the sidewalk or the one table with 2 chairs next to the curb by the cars. We chose the table. The menu arrived in full on mandarin and the waitress spoke not a word of English. It was interesting. Next thing we knew there was this woman at the table translating for us. She didnt work there. She was a customer! It was quite funny. This woman, with her husband and child is standing at our table helping us order. Pure comedy. After our funny meal we headed to CarreFour the local department store thats open until 2am. Its not a department store like in the US. Its got everything from a full grocery store on the bottom level to electronics on the top. She had never been to it before so I dragged her over to it. 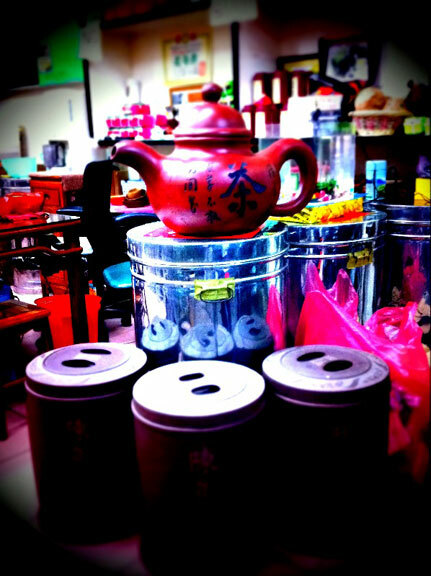 One the way back to the hotel, we stumbled upon this litt le tea shop (Jo Shun Tea Co.) that was still open. It was about 9pm. We went inside, sat down and sampled some oolong teas. The girl who helped was named Janet and she happened to know Thomas Shu! 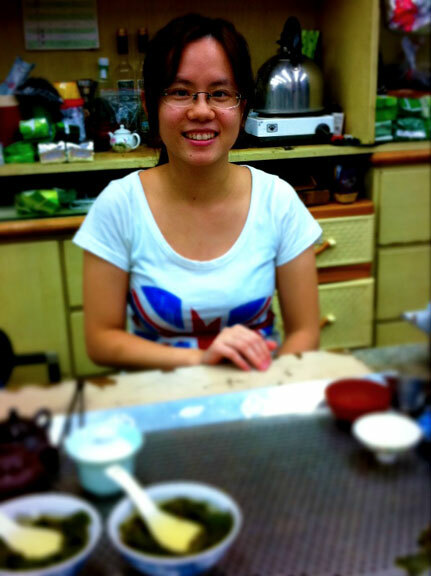 She was in Las Vegas at the World Tea Expo this past spring. Small world. After trying a few oolongs, we spotted some puerh on the shelf. There was a brick that just smelled really good. We asked to sample. Im not a huge fan of puerh, but admittedly, this one was fabulous. It is a 20 year old puerh from Yunnan. I bought it on the spot for $40 USD. Karen did as well. Great find. The night ended with a littl e birthday party and cake for Josephine at the DongWu Hotel.